Artspread.com is India’s most sought after online art gallery, showcasing talent from across the country to celebrate and promote Indian thought, forms, sensibilities and our vast cultural and regional heritage. These artists represent amongst India’s finest talent in the current age.With the right exposure, encouragement and patronage , we believe many amongst our represented artists will be acknowledged masters of tomorrow ! 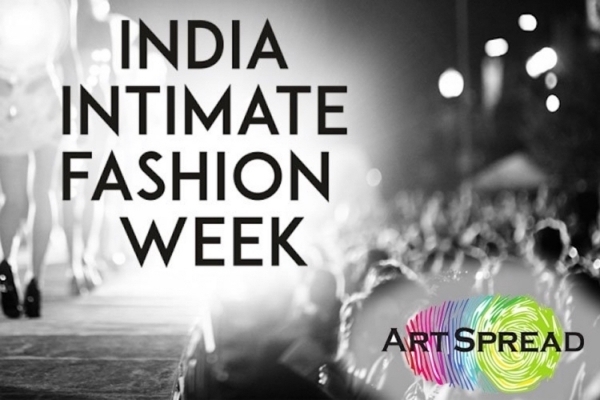 ArtSpread.com is associated with India’s first ever India Intimate Fashion week. A platform that brings to the beautiful men and women of India , intimate inner wear to rekindle romance and passion. Intimacy encompasses both the body and the soul. From time immemorial, Indian art has magnificently captured intimacy. Every school of art in India celebrates the holy communion of two individuals. It is celebrated in our mythology and religion . The Radha – Krishna Jodi has inspired innumerable exploration and interpretation in detailed illustrations on ‘Pattachitras’, pichwai’s , miniatures in Pahadi and Rajputana school paintings and even carvings – Indians have explored the mystical and the sensual and the eternal human sense of longing and desire. IIFW brings together leading Indian and International lingerie brands and designers to a platform to break stereotypes on the evolution of fashion. In the recent times, IIFW has been open to experimenting in the field of fashion and going beyond the lingerie category too. Products for personal care and intimate hygiene are also showcased at this event, which is increasing its fan base every year. ArtSpread.com having being associated with the India Intimate Fashion Week, we definitely know that there’s a lot more this collaboration has in store for us.